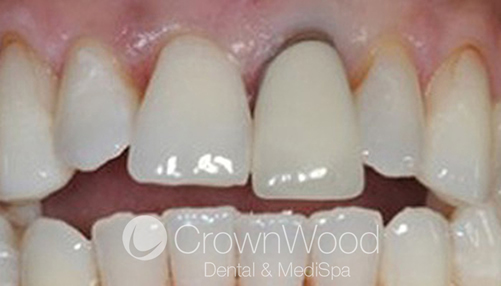 A dental crown is a tooth-shaped "cap" that is placed over a tooth to cover and restore its shape and size, giving it a natural appearance. When cemented into place, a crown fully encases the entire visible portion of a tooth that lies at and above the gum line. 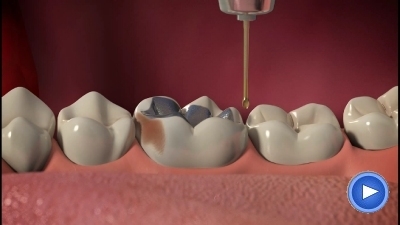 Permanent crowns can be made from stainless steel, all metal (such as Gold or another alloy), porcelain-fused-to-metal, all resin or all ceramic. 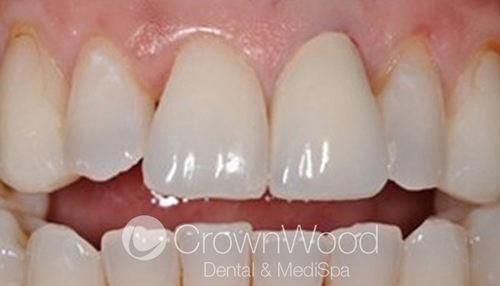 Preparing a tooth for a crown usually requires two visits to the dentist. The first step involves examining and preparing the tooth, the second visit involves placement of the permanent crown. While a crowned tooth does not require any special care, it should be remembered that simply because a tooth is crowned does not mean the tooth is protected from decay or gum disease. Therefore, continue to follow good oral hygiene practices, including brushing your teeth at least twice a day and flossing once a day - especially around the crown area where the gum meets the tooth. Antibacterial mouth rinse can also help. "I am writing to thank you and say how pleased I am with the dental crown you recently fitted for me. Having not needed any treatment for some years, I was nervous and apprehensive. However you took time to explain what needed to be done and checked with me throughout the treatment that I was all right, which really helped to put me at ease."